The Coupon Centsation: Mickey Mouse Cookie Cutter: ONLY .65 Shipped!!!!!!!!! Mickey Mouse Cookie Cutter: ONLY .65 Shipped!!!!!!!!! One of my FAVORITE Amazon Deals EVER is back in ACTION! 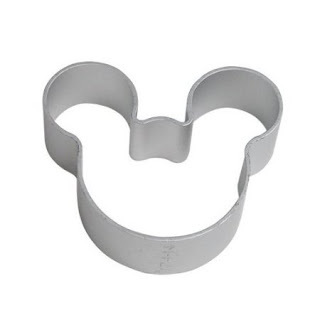 Right now, you can pick up the MICKEY Mouse cookie cutter for ONLY $.65 Shipped. This is perfect for baking cookies with the kids. Ours LOVE using the extra ones that we bought to play with play-dough. Today, I am ordering a few for their Pre-K classroom. I know that their teacher will LOVE these!